Home » Features » Is There Proof of Life After Death? Experts have always told us that nobody really knows for sure. It’s all a matter of faith — or lack of it. But is that still true? We now know it isn’t. Startling discoveries have given us strong evidence that may meet high standards for scientific proof of life after death. 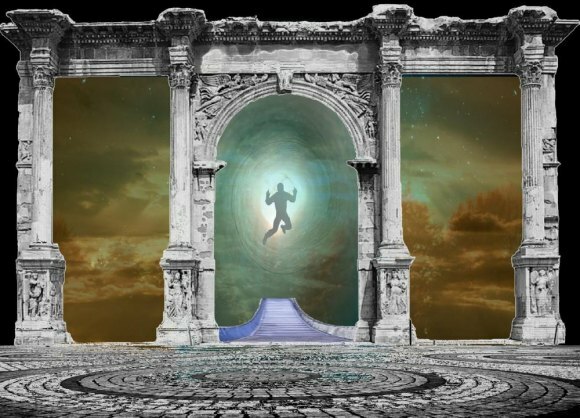 Near death experiences, first explored in depth by Dr. Raymond Moody, opened a door that future researches walked through. Dr. Michael Newton, a nonbeliever, tripped over a universe of life between many lives while using regression therapy. There are now thousands of documented histories, thoughtfully recorded by licensed practitioners around the world. Dr. Jeffrey Long collected stories about near death experiences, NDEs, subjecting them to rigorous statistical analysis to see out if they were real, that is, independent and able to withstand objective analysis. What he discovered is bullet proof. Put them all together and you get what looks like proof. It’s one of our greatest mysteries. Solving it requires solid evidence, lots of it. Now, it seems we have that evidence, coming from three doctors and their supporters — anecdotal, scientific and statistical. There's no longer any “What if? “ but a lot of open doors for exploring what’s in the next room. We also may find out where we came from and why and what meaning we bring to the world, if any. Curiosity got me started searching, decades ago. An intensive care nurse struggling with the issue got me to read Elizabeth Kubler-Ross's groundbreaking, On Death and Dying. It shook loose all the cultural certainties most of us were taught while growing up. If there's a life after death, where and what is it? What does it tell us about life in the world we know? Do we finally have answers we can trust? Along with many personal stories hitting bestseller lists, published reports from scientists, Raymond Moody, Michael Newton and Jeffrey Long, are fascinating as well as convincing. All three doctors risked professional scorn for doing the research and, heaven forbid, (excuse the pun) making what they learned public. What we understand should be reassuring to science, although it probably isn't, and troubling to established religions. At our cores — the part of us we think of most intimately as "me" — we’re spiritual and everlasting. It's something we know. I’ll give you the resources to check for yourself. The next smart step is to learn more about the details and stop wasting time knocking down irresistible reality. There’s another universe — or universes — to explore. The once radical term "near death experience" is only 30 or so years old. What’s been discovered so far can be confusing, but a fascinating picture emerges from the newest evidence. When Dr. Raymond Moody first wrote about NDEs (Life After Life: The Investigation of a Phenomenon--Survival of Bodily Death), all he really could say is that, in the proximity of physical death, many people experience more than simple disappearance into untouchable beyonds — or nothingness. And not just that, something apparently transcendent happens. Yet, his interviewees were able to describe nothing more clear than a transitional space where they were suspended while their bodies were clinically dead, unable to think, feel, remember or see. Dr. Michael Newton took it a giant step ahead when he accidentally stumbled into what came next ( Journey of Souls: Case Studies of Life Between Lives), life between lives, central, eternal experiences. It’s something like Columbus discovering the Americas. Newton was looking for something else and found a universe of otherness, a place where we all have roots, no matter what’s happening or isn’t happening on the ground. A detailed library of recorded regressions into this space, gathered by Newton and his colleagues, leaves little doubt about the general idea but many questions about the details. Then, Dr. Jeffrey Long, in a rigorous statistical study (Evidence of the Afterlife: The Science of Near-Death Experiences), settled it, at least as far as NDEs go. He’s established beyond a reasonable doubt that there is an area that many, if not all, of us enter when our bodies fail. I’ll be careful here. Nothing herein verifies any religious convictions nor does anything discourage them. All that’s been proven is that, no matter what becomes of your body, an essential part of you goes on, just as it has times before. Long’s information is gathered from stories told by the few who manage to come back, the minuscule percentage of people who report NDEs. The similarities prove a commonality of experience beyond chance and an unlikelihood of traditional explanation. He rebuts skeptics with thoughtful, factual analysis. Books written by Eben Alexander (Proof of Heaven: A Neurosurgeon's Journey into the Afterlife), Anita Moorjani (Dying To Be Me: My Journey from Cancer, to Near Death, to True Healing) and others corroborate through personal experience what we've learned. We have another life, whether after, before, between or in parallel. Something’s there, greater than the three-dimensions rigged to time with which we're daily engaged. More than twenty years ago, Michael Newton, PhD, was a practicing psychologist using hypnotherapy with his patients. He sometimes used past life regressions as a tool when he had a subject under hypnosis. A conventional therapist and atheist, he didn’t go there because any kind of belief system. A successful past life regression does not prove a subject has past lives but that he or she discovers what they see as earlier incarnations while under hypnosis. Professional practitioners are likely to agree that there might be past lives without agreeing on what they are or what they mean. The big thing Newton discovered, though, was something he never imagined before regressing a patient plagued by profound loneliness and isolation. Many longtime friends had died, but her loneliness went beyond the usual pain of loss. After Newton regressed her through several past lives without locating a root cause, a solution suddenly presented itself. "They're here," the woman declared, still under hypnosis. She was with her friends and family, embraced by their love, she said. When Newton asked her to identify which prior incarnation she was in, the woman’s answer was shocking. She wasn't in any of them. She was with her friends in a universe between lives. The experience inspired twenty years of intensive research and the recording of thousands of Life Between Lives sessions and the founding of an institute to support and collect the research of doctors exploring the most unusual universe any of us are likely to move through. Summarizing what's been learned from Life Between Lives research, Newton and colleagues have documented people's revelations of the interstices in which they say they exist between incarnations — without physical bodies. These are spaces occupied by them not just before and after incarnations, but also during them. What he discovered is that our "live between lives" are our constant lives, spent a place where we’re permanently rooted. Although the full complexity and depth of these experiences is beyond our grasp, mountains of documentation tells us that we’re privileged to become human as a learning, experiencing initiative from an essential place from which we extend ourselves and to which we always return. Although Long's mission started only with an interest in collecting objective evidence of near death experiences that could be explored statistically with scientific rigor, what he's found extends beyond that. NDEs, it seems, cannot exist outside the context of life after death. Readers should feel free to take in the information on the website Dr. Long built for this purpose as well as his book Evidence of the Afterlife: The Science of Near-Death Experiences. His evidence and analysis is compelling. Long sets out nine criteria to be considered in verifying that near death experiences are universal and consistent. He explores them with exhaustive rigor. He also takes the trouble to debunk the debunkers, taking on skeptics with detailed analysis of their published opinions. Some of the content in the NDEs is exciting, but more than others, Long’s book is more an explanation of the science and how it yields truth. His NDE subjects are not different from Moody's or Newton's, but their reports are more meticulously picked apart — and still point to the same conclusions. Only reflex skeptics and those who will not accept the science, no matter how conclusive, can deny the reality and context of near death experiences. We're lucky so many people have had the courage to face ridicule to talk about theirs. But then, there's the other thing. A near death experience depends on an afterlife for context. Acquaintances, friends and family routinely meeting the subject at death's door, sometimes those the dying individual never met in real life and some he or she didn’t know were dead. If not from an afterlife, where do they come from? Taken in context with Michael Newton's life between lives, the answer is an inescapable revelation of the fuller story of who we are. A pioneer who first used the term "near death experience," Dr. Moody watched it grow into universal recognition. Thanks to popularizers, especially Oprah Winfrey, most people now understand what is meant by "NDE." As a young doctor — Moody is both a medical doctor and forensic psychiatrist — he was intrigued by similar types of experiences critically ill patients confided in him. Outstanding features were bizarre revelations about being in a sort of nowhere land that was neither living nor dead. He began collecting and collating details of the stories that he believed his subjects that of as real. In the days before he coined the term, the similarities of their near death experiences were startling if contrary to much of what we believe about reality. Initially, Moody stuck by his conviction that the NDE stories proved only that many critically ill patients who survived remembered having them. He did not believe they were proof of life after death and resented religious fundamentalists who used his research to make their case. He also thought the New Age movement overstated the results of his research as spiritual proofs. But in an interview with Jeffrey Mishlove, he said about his NDE research, "It has given me great confidence that there is a life after death." Recently, I got a whiff of all that's wrong about the way the conservative academic community closes its collective mind to new ideas. In an article in the New York Times, New York University professor Samuel Scheffler intended to promote his own book. The Times accommodated by giving him a predictably snarky headline: The Importance of Life After Death. Seriously. I guess the Times didn't want to be beaten in the fight for academic closed-mindedness. "I believe in life after death. No, I don't think that I will live on as a conscious being after my earthly demise. I'm firmly convinced that death marks the unqualified and irreversible end of our lives." In a philosophical community lorded over by Richard Dawkins, one must fly his non-believer flag or risk being flooded in the onslaught of academic finger-wagging. An article I was eager to explore turned me off in its first short paragraphs. How can you trust a philosopher who must bow to rigid principles before making what looked like an appealing statement of conscience? The evidence is strong for life after death, strong enough to convince me that our attention should now turn to learning more about it and understanding the spiritual pillars on which our lives rest.